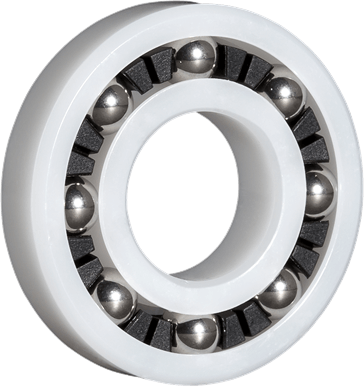 A standard KMS Plastic Ball Bearing features Celcon® Acetal (POM) for races and ball retainer. 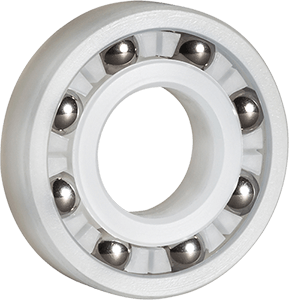 When Acetal material is not compatible for your application, we offer PVDF (Kynar®, Solef®) and PEEK as alternative standard materials. 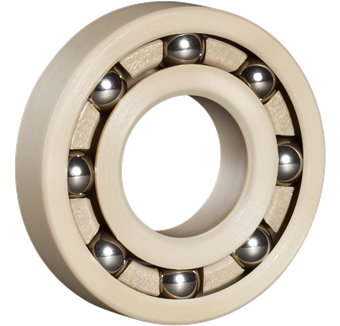 To modify a standard bearing go to Semi-Custom Bearings to find a solution that fits your requirement.